South Africa should not panic over misinformation regarding Zambia's power utility and loans received from China, President of the Economics Association of Zambia, Lubinda Haabazoka, has said. Speaking to Fin24 on the sidelines of the 2019 Investing in African Mining Indaba at the Cape Town International Convention Centre, Haabazoka said Zambia was borrowing from China "sustainably". Haabazoka's remarks come following speculation in 2018 that Zambia would have to surrender its power utility, Zesco, to China over defaults on debt. In SA, meanwhile, a loan the China Development Bank granted Eskom during the BRICS summit in Johannesburg last year sparked similar controversy. The terms of the loan are subject to confidentiality clauses, which drew calls for the details to be made public. 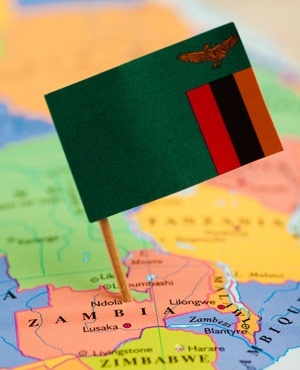 Haabazoka denied that Zambia would have to surrender Zesco to China, calling such claims a symptom of a fresh "global trade war between the east and the west". "The African continent, including Zambia, is being used as a pawn in the global trade war we are seeing between the east and the west. "Zesco is an example of this. But the law of Zambia is clear. Entities cannot be given as collateral if Zambia defaults on a loan," said Haabazoka. Haabazoka said the loan, which Zesco took to finance a hydro-power project, was not a bad decision, as the debt with Chinese investors could be re-negotiated. Western creditors seldom offer this, he added. "We get funding from both the east and the west. The conditions we expect from both are the same. Of course, China loans money at a lower interest rate. But it is not true that the Chinese are taking Zambian property. Zambia continues to borrow from China sustainably," Haabazoka said. He said South Africa and its entities should feel free to take advantage of financing opportunities from China, as long as such opportunities are in the interests of South Africans.